Literacy Grants for a Better Future! NAEP, the National Assessment of Educational Progress reports that only 34% of fourth-graders and 36% of eighth graders could read proficiently. GrantWatch.com provides access to many literacy grants for organizations that want to help children and adults learn to read and write and participate productively in society. What about children that want to read, but experience difficulty? 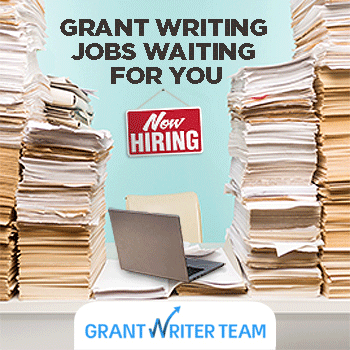 Grants for teacher materials and extra time per student, can also be found on GrantWatch.com. To see the change in the illiteracy cycle,one can read this touching children's book: Thank You, Mr. Falker When Trisha starts school, she can't wait to learn how to read, but the letters just get jumbled up. She hates being different, and begins to believe her classmates when they call her a dummy. Then, in fifth grade, Mr. Falker changes everything. He sees through her sadness to the gifted artist she really is. And when he discovers that she can't read, he helps her prove to herself that she can - and will! Another study conducted in late April 2013 by the U.S. Department of Education and the National Institute of Literacy, found that 14% of the population, 32 million adults in the U.S. can't read; 21 % of adults in the U.S. read below 5th grade level, and 19 % of high school graduates can't read. Is it just disinterest in reading or unrecognized disabilities? The Teacher Who Couldn't Read, by John Corcoran is a teacher's memoir that describes his remarkable personal struggle to escape the confines of illiteracy. It tells his life story of how he struggled through skills without the basic skills of how to read or write and went on to become a high school teacher still without these basic skills. John would later conquer his inability to read and become a leading advocate for literacy. Another way to get funding for a creative idea is to start a literacy crowdfunding campaign.